DETROIT -- Ford Motor Co. is considering an investment of $300 million to $500 million in Michigan assembly plants as it continues development of hybrid and electric vehicles and batteries. But the investment hinges on Michigan's willingness to grant Ford millions in tax credits, spokeswoman Jennifer Moore said. Ford executives briefed reporters on the project today. Ford intends to assemble lithium ion battery packs in-house. It would assemble the battery packs at an undesignated plant in Michigan. Supplier Delphi Holdings LLP presently builds battery packs for the Ford Fusion and Mercury Milan hybrid sedans in Hermosillo, Mexico. Ford, the only large U.S. automaker not to reorganize under a government-funded bankruptcy in 2009, has broad plans to introduce battery-electric vehicles, plug-in hybrid vehicles and a new generation of hybrid vehicles to North America. Part of Ford's proposed investment would cover production of next-generation hybrid and plug-in hybrid vehicles. 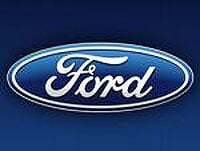 The vehicles would be built on Ford's global C platform. Presently, the Focus sedan is built on the global C platform at the Michigan Assembly Plant in suburban Detroit. Ford's Louisville, Ky., assembly plant also could make vehicles off the C platform. About 1,000 jobs could be created in Michigan if the vehicle and battery pack assembly is brought to the state, said Derrick Kuzak, Ford's global product development chief. Nancy Gioia, Ford's director of global electric strategy, said Ford wants Michigan to expand advanced battery credits approved last year to consolidate production of the hybrid vehicles and battery pack assembly in the state. The automaker wants up to $85 million for an advanced battery pack credit from 2012 to 2014, with the potential for $35 million more beyond 2014 if battery cells are produced in Michigan by suppliers to Ford, Gioia said. "In the capital-constrained world that we live in and [with] the need to have a sustainable business going forward, we think Michigan is a great site to work with," Gioia said. "If we can't make it work here, we are committed to our product plans and to identify the best total business solution."